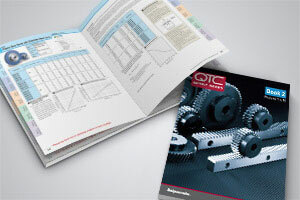 The Q430 is the new metric coarse pitch catalog from QTC METRIC GEARS which includes precision modules 1 to 10. Our product line has been vastly expanded to now feature more than 20,000 metric gear configurations. Among them are our new J-Series gears which are modified stock gears that include a keyway and a set screw. Many of our existing gear types now include this new configuration which include: steel worm gears, steel, stainless steel and plastic spur gears and steel and stainless steel gear racks. You can request the new catalog for free by filling out the catalog request form, or you can view a pdf version by clicking on the links below. Request Your Free Catalog Today!